Is Jason Day Great Yet? 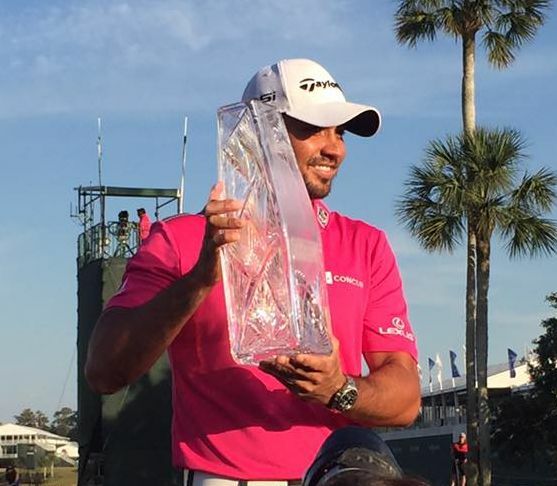 Jason Day dominated the field at the Players Championship. He clearly established himself as the number one player in the world and solidified his position in the world rankings well ahead of Jordan Spieth and Rory McIlroy. As strong as that performance was, it had the feel of an exhibition on how well he could play TPC Sawgrass. Clearly there was not one player in the top 10 that would strike fear into Jason and could realistically challenge him for the title. His only adversary was Pete Dye's golf course and that is a strong foe. After breaking away from the field in the first two rounds, he managed his game adequately and fought some shaky tee shots and iron shots to maintain his advantage. What I liked the most about his victory was his stated desire to win this championship. It meant a lot to him to win this tournament. It was a strong goal and with goals that are deeply desired comes internal and external pressure to succeed. He choose a goal and put pressure on himself to perform and he triumphed. Great players can do that. At the moment, Jason Day has the physical capability, desire and the work ethic to be this decade's best player. He has some holes in his game, but over the past three years he has greatly improved every area of his game. To be a superstar in this era you need length off the tee and be exceptional around and on the green. Jason has always had superb length, but now he is long and straight. His biggest improvement is from an above average wedge player to being a top five short game artist in the world. Great players are consistently good putters. Jason was similar to Rory McIlroy where he would be great and then the next week below average. Now he is consistently very good with flashes of great. Jason Day is our best player right now. He has the tools to be one of the great players in golf's history. Greatness is defined over a career and the number of tournaments and major championships won. Jason won the PGA Championship as his one major title. Winning the Players Championship will be noteworthy on his career resume, but it is not a major. If I were to highlight Tiger Wood's career totals, I would list them like this; 14 major titles, 79 PGA Tour titles, 40 European Tour titles, 11 PGA Tour Player of the Year awards, 9 Vardon Trophy's, and 2 Player Championships. For a single tournament, I would consider the Player's to be the fifth in importance after the four majors. So is Jason Day great? No, but he is certainly trending that way and a long career will ultimately tell the tale.